CANTON, Mass. 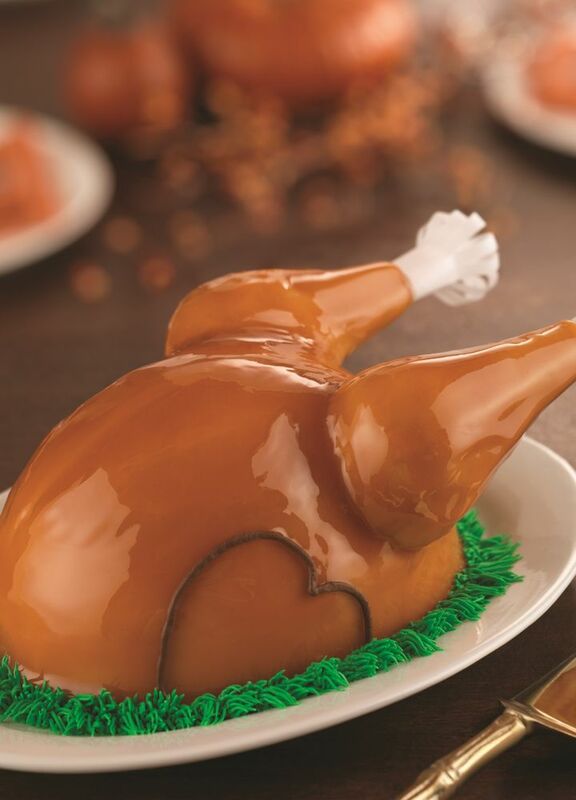 (November 1, 2017) – Baskin-Robbins, the world’s largest chain of specialty ice cream shops, is excited to kick off the holiday season with a product lineup stuffed with all the trimmings needed for the perfect holiday treats, including the return of its popular Ice Cream Turkey Cake. No matter how you carve it, this unique all-ice cream cake made with sugar cone “legs” is sure to be quickly gobbled up. It can be customized with any Baskin-Robbins ice cream flavor, including seasonal favorites like Egg Nog or Peppermint, and is available for pre-order both in-store or online at www.baskinrobbins.com/onlineordering. 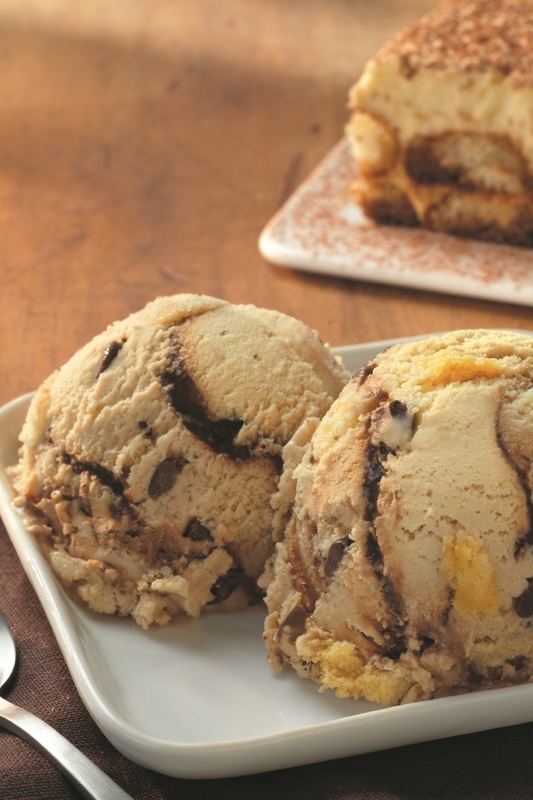 In addition, Tiramisu returns as Baskin-Robbins’ November Flavor of the Month. The flavor is made with Tiramisu-flavored ice cream swirled with cake pieces, chocolate flakes and a decadent chocolate coffee ribbon. Inspired by the classic Italian dessert, this flavor is packed with delicious, high-quality ingredients, including chocolate flakes from a fifth-generation family-owned business, coffee brewed from Colombian beans and pieces of real pound cake. By transporting guests straight to Italy with every bite, Tiramisu is the perfect flavor to make every day feel like a holiday. Additionally, continuing this month, guests can enjoy ice cream cakes starting at $12.99. Ice cream cake varieties starting at $12.99 include the ½ roll Celebration Party Cake, which is a festive cake featuring colorful streamers, and the ½ roll Rosette Cake, which is an elegant cake enrobed with either pink or blue rosettes. These two cakes serve 2-4 people and are perfect for everyday occasions. Named a top ice cream and frozen dessert franchise in the United States by Entrepreneur magazine's 38th annual Franchise 500® ranking in 2017, Baskin-Robbins is the world's largest chain of ice cream specialty shops. Baskin-Robbins creates and markets innovative, premium hard scoop ice cream, a full range of beverages, and a delicious lineup of desserts including custom ice cream cakes, the Polar Pizza® Ice Cream Treat and take-home ice cream quarts and pints, providing quality and value to consumers at more than 7,900 retail shops in 52 countries worldwide. Baskin-Robbins was founded in 1945 by two ice cream enthusiasts whose passion led to the creation of more than 1,300 ice cream flavors and a wide variety of delicious treats. Headquartered in Canton, Mass., Baskin-Robbins is part of the Dunkin' Brands Group, Inc. (Nasdaq: DNKN) family of companies. For more information, visit www.BaskinRobbins.com.